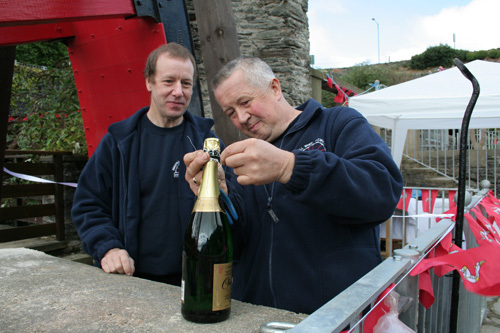 Above: Ted and Roy prepare the Champagne. 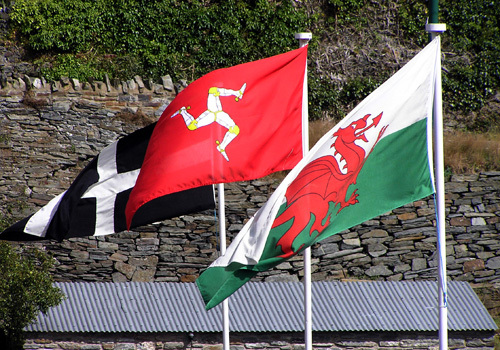 guarded secret is now covered by the Manx flag. 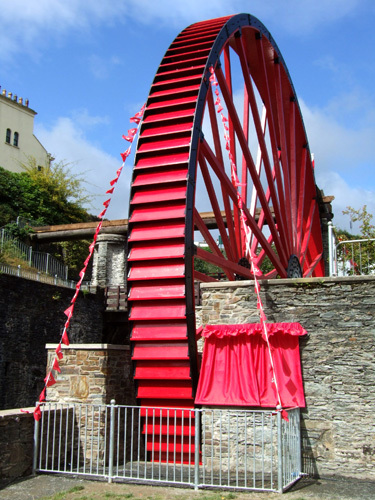 Above: The wheel is now all set for the grand opening in just one hour. 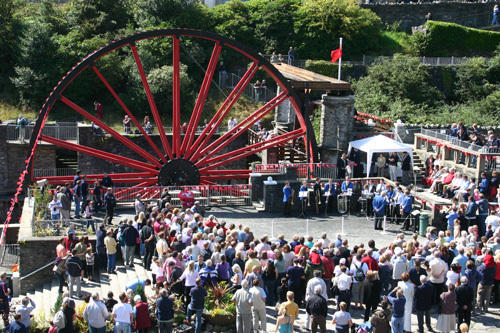 to mark the presence of the VIP’s and the history of the wheel. 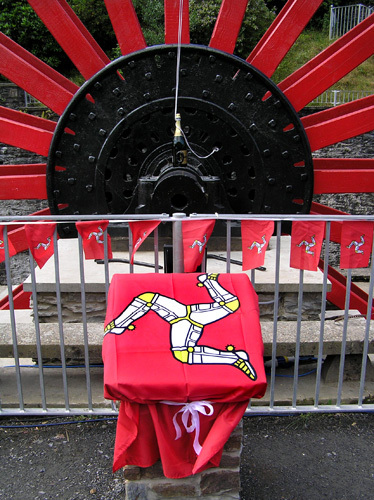 wheel, Gilbert Howell of Flintshire, which was presented to him by Anna Gapper. 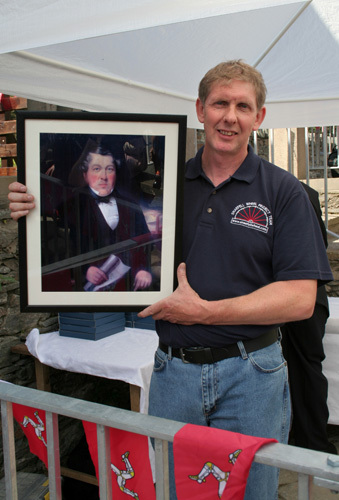 One of the great grand children of L&G Howell who were present for the occasion. Above: The crowds start to gather on the upper washing floors.